You’re finally sitting on the beach watching the kids play and reading a book you haven’t been able to get to for months. The sun is out, everyone is smiling and the cell phones are no where in sight. This is the vacation you’ve been waiting for. Your kids want ice cream, your husband wants to rent a jet ski and you want to go out for a nice dinner. And you want to say yes to everything, after all it’s vacation and you’ve earned it right? The answer is of course you deserve it, but can you afford it? Not sure? Well, I have a quick and easy way you can check and make sure you stay on budget while away…to make sure you can afford the next one! We’re excited to partner with SunTrust for #MothersMay to share great financial advice from moms! It’s a vacation planning tip so simple you may underestimate just how well it works at first. The first time I saw it in action was on my first vacation with my now husband’s family. We were talking about what to do that evening and my mother-in-law pulled an envelope out of her purse to check the contents inside. After a quick peek and a short convo with my father-in-law they confirmed plans and off we went. That wasn’t the only time I saw the envelopes come out that week and my curiosity was piqued. What was going on with all those envelopes? She was using those envelopes to portion their vacation budget each day. She made sure they had money to do all of the things they wanted to do without wasting it on something they’d regret early in the week. Determine your vacation budget. 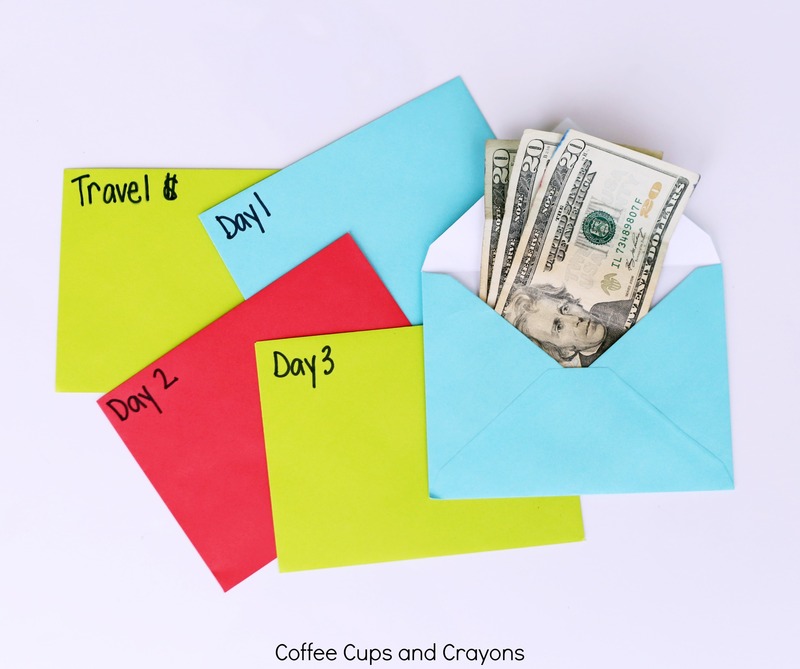 One way to do this is to put aside a certain amount of money each month for vacation. Then when you are booking your trip decide how much of the budget you are going to use for daily spending. Estimate travel expenses. Calculate how much gas, food, etc will cost you on the way to your destination and stick that amount of money in a labeled envelope. You can break this into two parts and divide up the travel there and back. 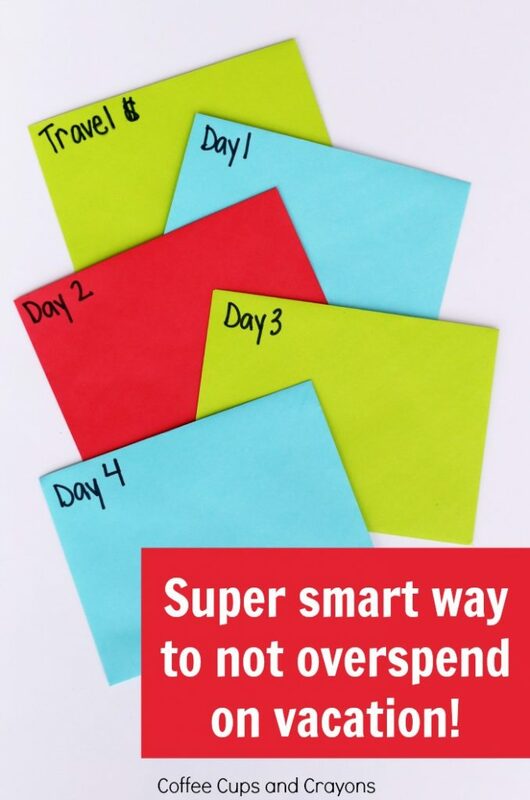 Create daily spending envelopes. If you have a set itinerary you can vary the amount depending on the day’s activities. If you don’t have a plan then you can divide the money evenly between each. Don’t be afraid to move the money around. If you’re at the beach and decide to splurge on a fancy seafood restaurant your last night there take money out of the other envelopes and move it into that one so you don’t overspend. You can make up the difference by ordering pizza for dinner one night or staying in and playing board games. With my mother in law’s vacation envelope system dirty laundry is the only stress you’ll have when you get home. There’ll be no big credit card bills preventing you from planning another getaway. For even more great budgeting tips and financial advice visit SunTrust’s onUp website. There you can even sign up for updates to get all the help you need to stay on track.